ut he has his father to thank for this incredible feat. At just 10 months old, Beckford’s father, Knox Daniel, discovered his son’s unique learning capability while he was sitting on his lap in front of the computer. That's amazing for a 6 year old! We’ll have to keep track of his progress. 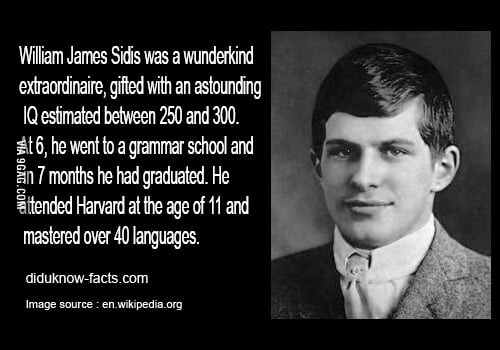 Impressive, but not as impressive as William James Sidis. Also supposed to have been autistic. Now just imagine seeing a 14 year old being a professor or something and teaching at a university. Sidis was a professor at around that age, until he got beaten up by older students and began living the life of a recluse. I hope he does become a neurosurgeon. He could be really good at it and save lots of lives. I hope people don’t screw him for his abilities—or that he allow his abilities to create a swelled head within himself. Wow I had to wait until I was 9 to get accepted to Harvard. If he takes up running, he could be a lot like Roger Bannister. I got into Oxford University!